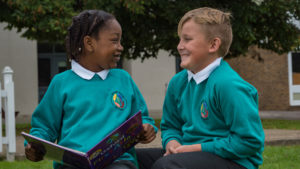 Children are encouraged to clearly identify themselves as belonging to Alver Valley Schools and to take a pride in their appearance. Therefore, we expect all children to wear school uniform. 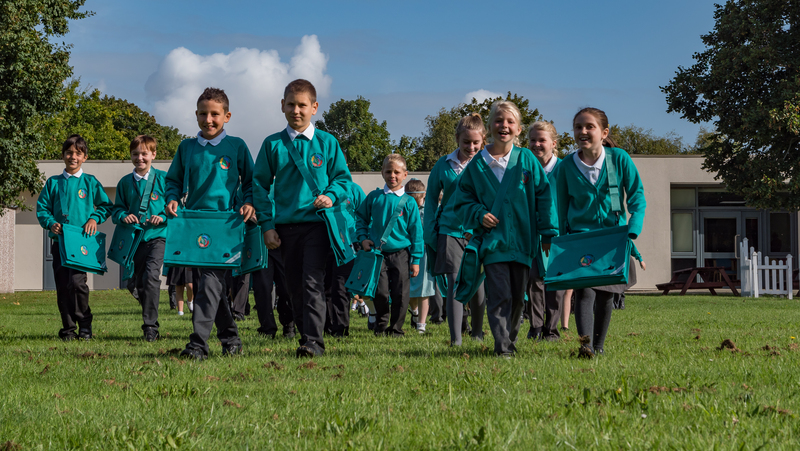 Please ensure your child’s school uniform and PE kit is named (including their coat). Sweatshirts, cardigans and bookbags with embroidered logos are available from the school office. Jeans, sportswear and hoodies must not be worn to school. All children must have a complete PE kit available at all times, contained in a suitable bag. Beach wear or leisure wear is not suitable for PE in school and should not be worn. Looped or hanging earrings are not allowed. Ear studs may be worn, but please send your child without them on PE days, or cover them with tape if the piercing is new. Tattoos, whether real or fake, nose studs or any other facial or body piercings, are not acceptable in school at any time or under any circumstances. Mohicans, tramlines and other extreme hairstyles are not appropriate for school. You can see the uniform prices here.